At ADI we have a country-wide network of our own plumbers ready to call to our customers to assist them with their plumbing issues and now Berkshire is just one of the many areas of the United Kingdom where we’re happy to be of help. When you’re dealing with a plumbing problem you always have to assume it’s serious first so at ADI we do our best to provide the most expedient and courteous service possible. Each of our plumbers carries a full range of the most commonly needed spare parts so that we can resolve the vast majority of our customers problems during the same day of our service call out – there won’t be any waiting around for parts to arrive unless it’s something pretty unusual. In cases of plumbing emergencies we do our best to be at your home or business within 60 minutes of you calling us. 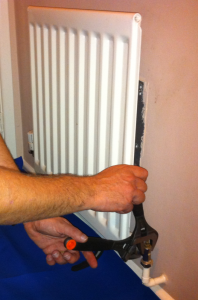 This is a modern method of increasing and improving the life expectancy of your central heating system and the pipes that connect it all together. Power flushing involves connecting a stream of chemically treated high velocity water to your plumbing system and washing away all the dirt, grime and even limescale that’s built up inside there. This is the best kind of plumbing we know – preventive plumbing! This wide range of modern tools means we can detect any leak you might have and all while minimizing the interruption to your business or family. Time is of the essence when it comes to dealing with plumbing problems so why not call our service team now on 0800 731 3848 and chat with us about how we can help you right now?